UA Basketball's point guards will all be appearing at the company's showcase store tomorrow night for autographs. 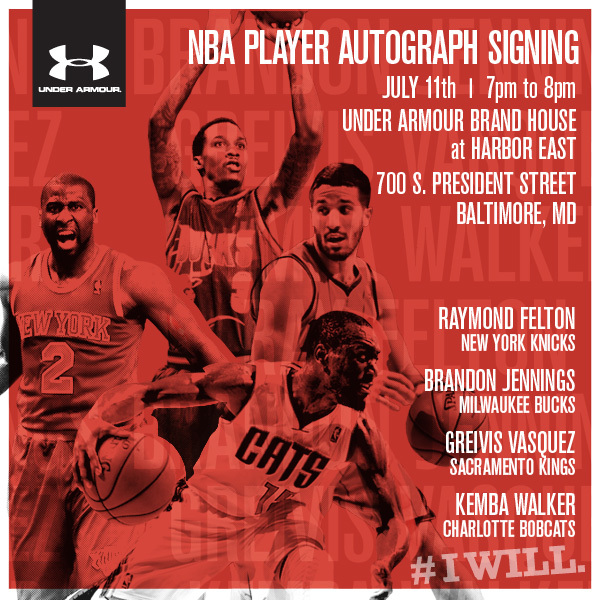 With their NBA athletes in town for meetings at the Under Armour headquarters all week, the UA Basketball team's point guards will all be taking some time out for an in-store appearance and autograph signing session at the UA Brand House tomorrow night. You can check for Brandon Jennings, Bobcats floor general Kemba Walker, Knicks point Raymond Felton and the newest member of the Sacramento Kings, Greivis Vasquez all to be on hand at the company's showcase retail space at 7 PM.